It’s the smallest most unique hidden places that make a city. That make your day. Our team is sharing theirs. From an unknown museum in Khayelitsha to a forgotten town in South Africa and a spectacular unknown tidal pool, this is our first, small selection of hidden gems that we'd share with our best friends. 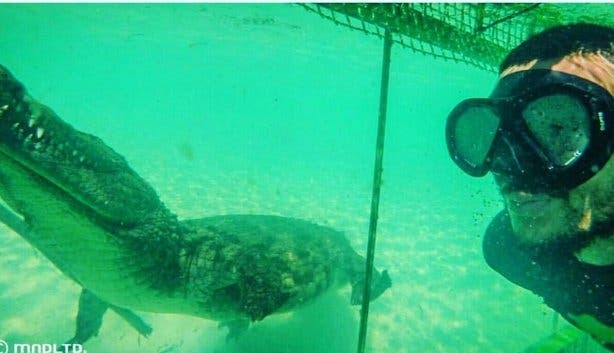 Looking for an alternative to shark cage diving? Get up, close and personal with one of Africa’s most powerful predators – from the safety of a secure cage at Le Bonheur in Paarl. The 18 Gangster Museum in Khayelitsha is the first of its kind in Cape Town. 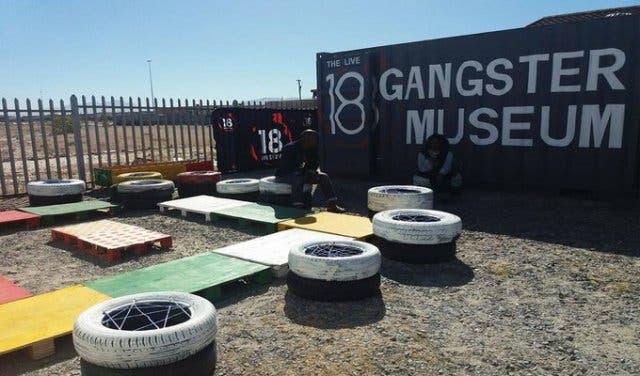 Here you’ll learn about gang culture in Cape communities through an educational and interactive tour. 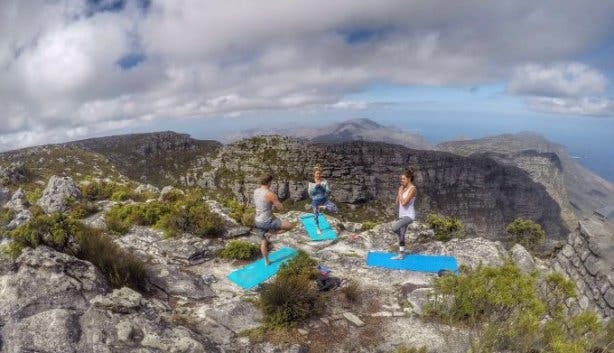 The Om Revolution offers regular outdoor yoga classes every summer but for those who want something unusual, you can choose any location (Table Mountain, Chapman’s Peak, Kirstenbosch Botanical Gardens or Llandudno) and pay R1100 for groups of up to 10 and R1600 for up to 20. Learn more and find out about the weekly schedule of The Om Revolution. Imagine: Your own skipper and a private pontoon boat for two hours of early-morning fishing on the Sedgefield Lagoon. 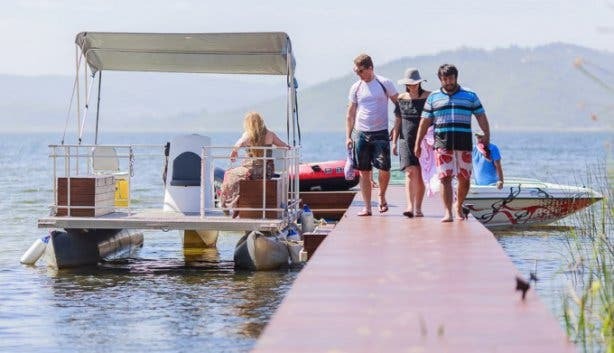 Or upgrade to a sailing boat, spider dingy or speedboat at Lakeside Lodge & Spa. There are even canoes, wakeboarding and introduction-to-sailing trips for the kids to windsurfing, SUP and a range of boat hire options ideal for groups or couples. And it’s quite affordable. 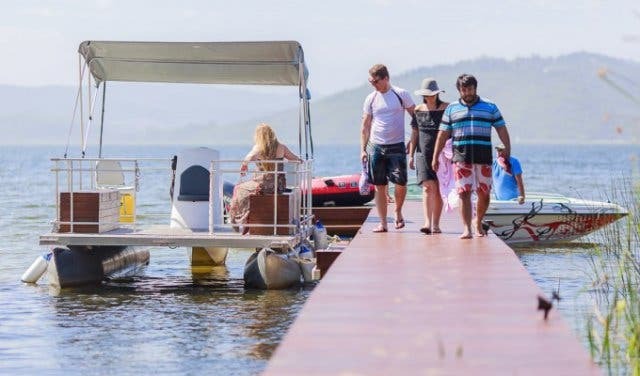 Check out the watersports (and more for families) at Sedgefield’s Lakeside Lodge & Spa. Windmill Beach, just past Boulders Beach near Simons Town, is a sheltered nook where fantastic views of the False Bay coastline come standard. The beach’s large, natural pool area is ideal for swimming and snorkelling. 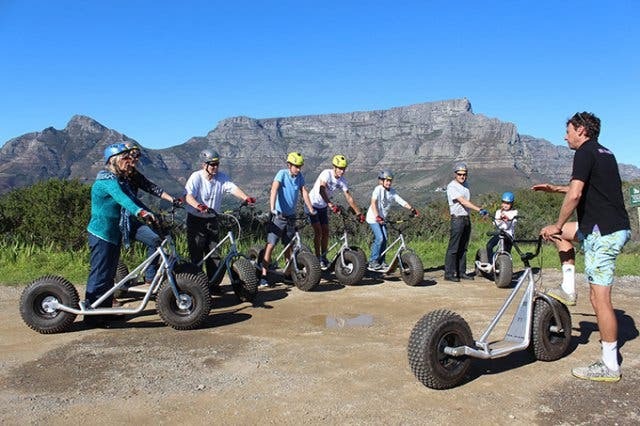 See the city from a different perspective with an off-road tour by Scootours on an eco-friendly, non-motorised scooter. What’s more is kids ride free every Sunday – family weekend plans sorted. The forgotten route of Matjiesfontein is the smallest town in South Africa, comprising a grand total of one hotel, a bar, a post office and a restaurant. 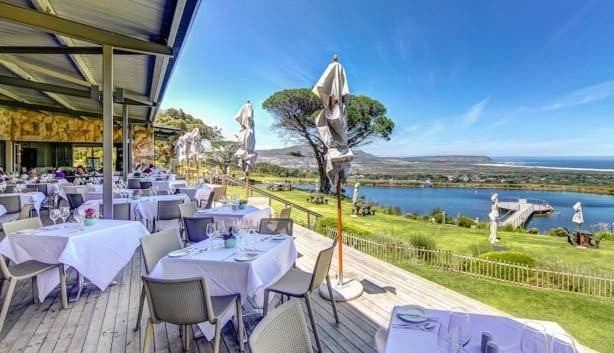 This two-day railway adventure stops off in one of the Western Cape's most historic towns, with more than a few food and wine tastings along the way. 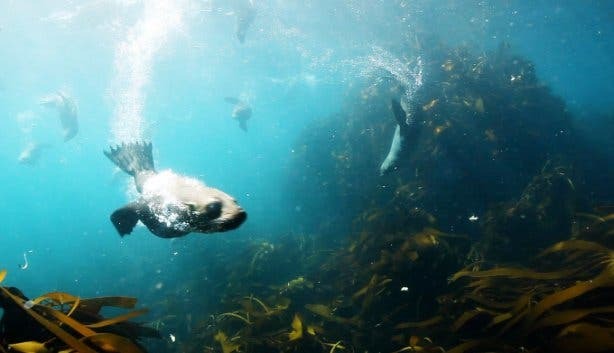 See these playful and inquisitive marine mammals in their natural habitat with seal snorkelling and dives with Ocean Experiences. There’s also scuba diving trips as well as free diving courses and adventure boat rides on Ocean Safari. 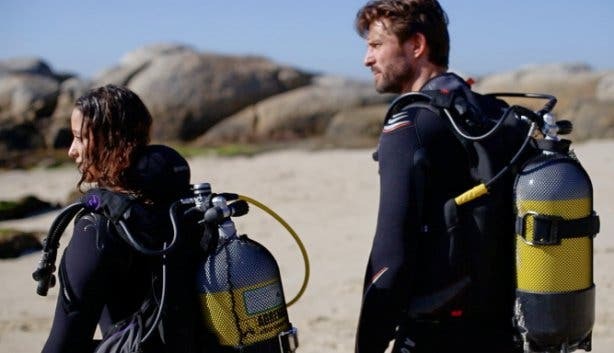 Check out all the bucket list items you can tick off with Ocean Experiences. Experience Observatory’s rich creative culture as the hip suburb celebrates its art scene every second Thursday of the month. Start off at Ahem! Art Gallery where you’ll grab a map of all participating spots. Take a stroll on South Africa’s longest stretch of beach in Yzerfontein, 16 Mile Beach. You may even spot a flamingo or two. The waterblommetjie is endemic to the Western Cape, where it grows in ponds, dams and lakes. Waterblommetjie bredie (stew) is a traditional Cape dish and can be enjoyed during the late winter/early spring months at the restaurants at Leopard’s Leap and Babylonstoren. Not too many people know about Silvermine Waterfall, and fortunately a brief 30-minute walk through the south-eastern part of the reserve will take you to this hidden gem. Discover the culture and heritage of the San, the first people to live in the Cape, with !Khwa Ttu guided tours. Here you can learn about San culture, their food and medicinal plants. Discover waterfalls, colourful fynbos and a lush indigenous forest at the Harold Porter Botanical Gardens, a protected reserve near Betty’s Bay. During the summer months, be sure to look out for the elusive red disa flower, the Western Cape's provincial flower symbol. 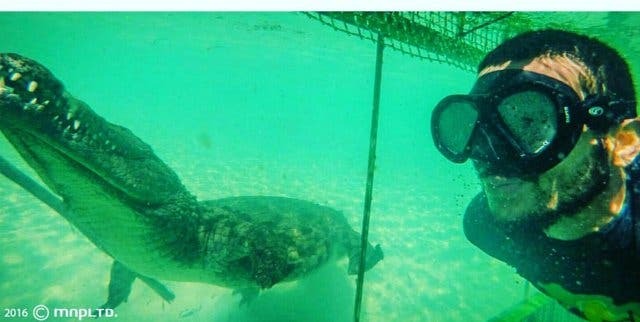 This is a completely new way to see Cape Town - from underneath it. 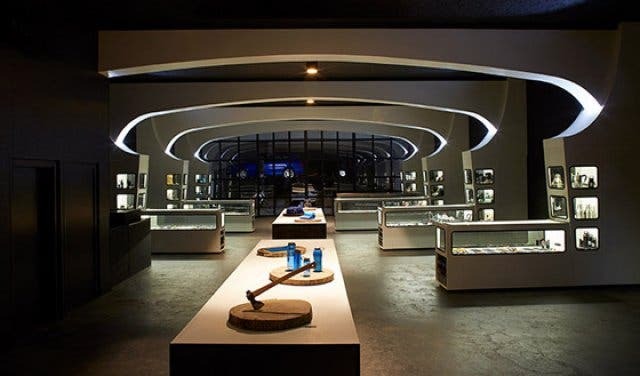 Embark on a tunnel tour and learn about Cape Town’s early history and its close connection with water. If you’re in the mood for chills and general eeriness, the Ghost Walk, arranged by Stellenbosch Tourism, is a must. Work your way through shaded avenues, past centuries-old buildings that have (creepy) stories to tell. 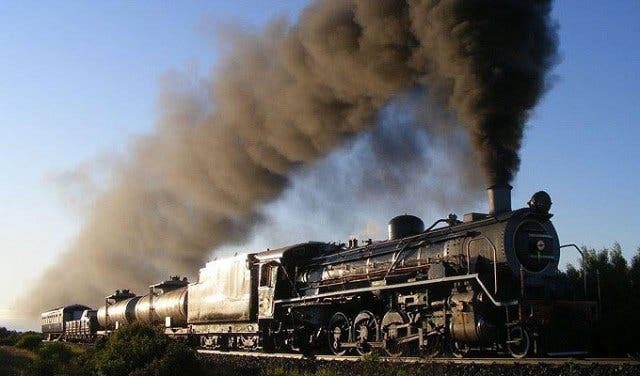 Hopping onboard the Ceres Rail Company steam train is a great way to see the beautiful Ceres valley, with its kloofs, gorges and fruit orchards. During the winter months you may even travel past snow-capped peaks. Bokkoms (salted and dried pieces of mullet fish) is a well-known Cape delicacy. Essentially fish biltong, its best enjoyed in the area where it originates from – the West Coast. Try it at Die Vishuis in the town of Velddrif. Challenge yourself to a hike up Knife Edge for crazy views of the city, and another Cape Town hike under your belt. Named for its now-extinct Leopard population, Tygerberg Hill overlooks both the northern and southern suburbs. Enjoy the relatively-easy walk to the top and soak up the magnificent views. Adults pay R13 per person to enter the reserve. Forget Franschhoek and Paarl, try a wine tasting out at Cape Point Vineyards in the “deep south”. 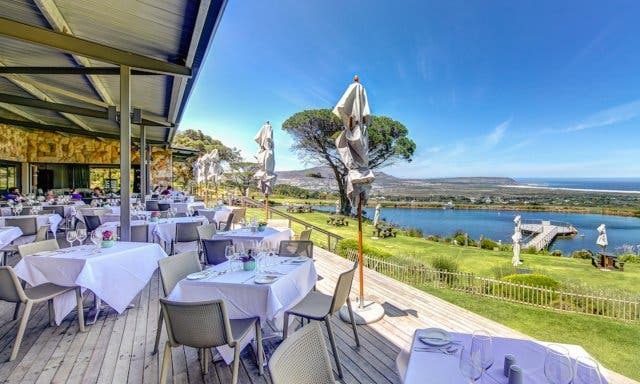 Stop for a bite at their restaurant, or book a picnic on the lawn accompanied by great wine and breathtaking views. 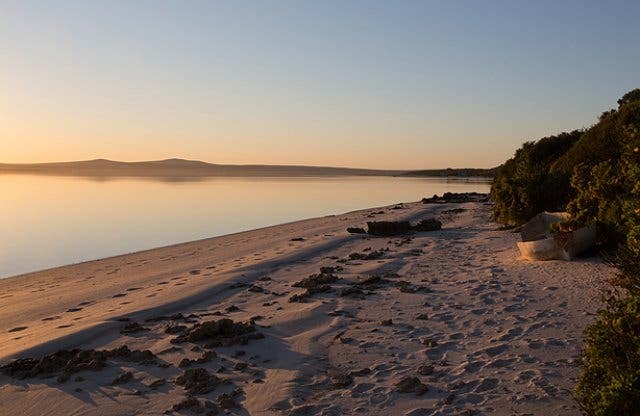 Discover the natural beauty of the Wolfgat Nature Reserve in Khayelitsha. Tucked away in the mountains between Swellendam and Heidelberg is the Grootvadersbosch Conservancy, a reserve which is home to a forest of towering redwood trees, the tallest species of tree in the world. Try your hand at clay pigeon shooting for a fun outdoor activity, and an adrenalin-filled day of something different. Take it to the next level and add a helicopter ride to your experience with Cape Town Helicopters. 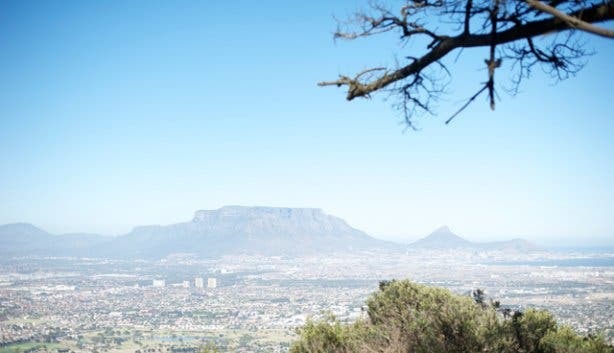 Take a walking tour of one of the most up-and-coming areas in central Cape Town – the East City. 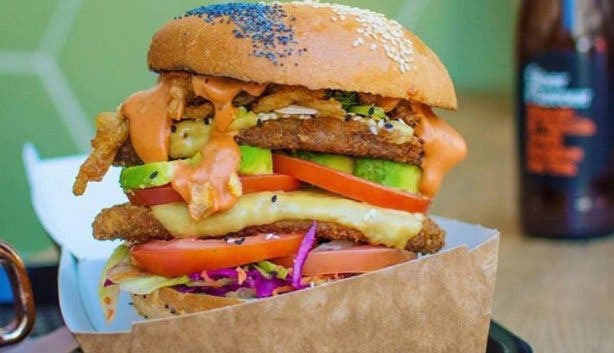 Among the places of interest is a vegan fast food eatery open until 3am, a slick retail store built from the spirit of adventure called Just Like Papa and a plastic-free grocer. Secret Sunrise is a superb way to start the day off with a group of friends. 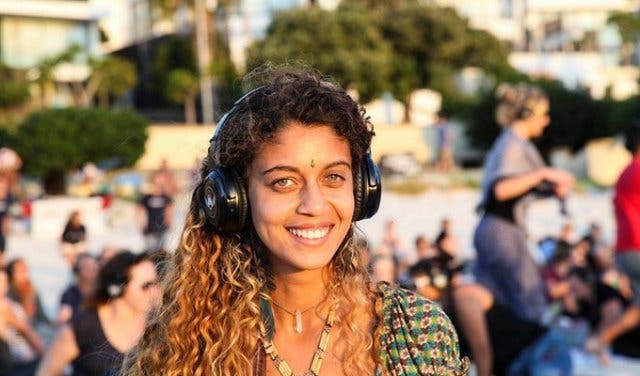 The gathering takes place at various venues around the city, and on arrival you’re handed a pair of wireless headphones to boogie down to whatever is being played on the communal channel. 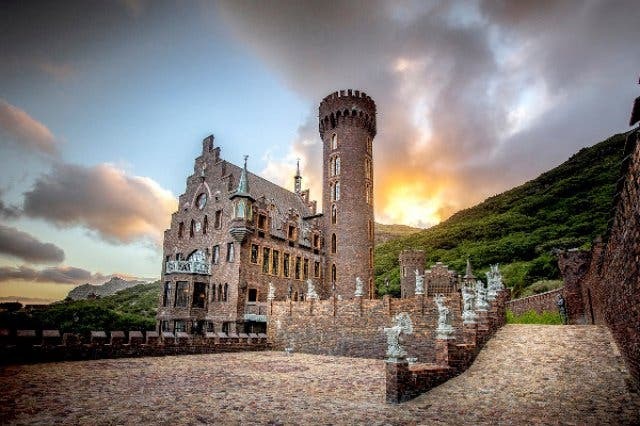 Check out the spectacular Lichtenstein Castle in Hout Bay, an exact replica of the original in Germany. Built by German owner/builder Reyneir Fritz in 1998 after 12 years of construction, the castle was sold to a secretive Russian businessman for R23 million in 2012. Magik Forest is a green space bordered by Durbanville, Bellville and Welgemoed. The series of connected paths is the perfect way to enjoy a peaceful stroll. Waking up amongst a plethora of colourful flowers is an experience second to none. 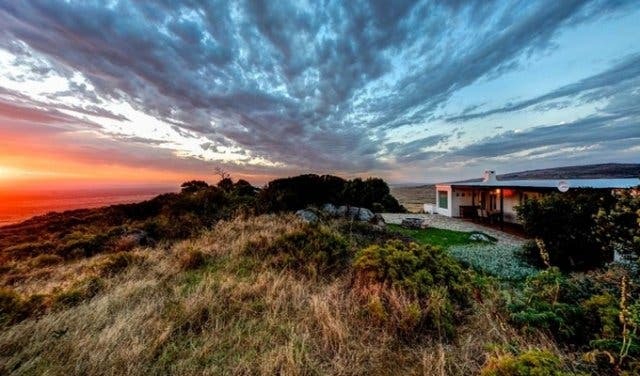 The Namaqua Flower Camps offer glamping options right in the heart of the mesmerising annual spring flower display during August and September. Hurry and book to find out the incredible secret line-up of live music, spoken word poetry, comedy and dance in Muizenberg homes at Village Vibes. A great activity with real substance to fill those early evening hours before dinner, theatre or other night-time entertainment at The Daily Music Show Cape Town. Looking for exciting and unique things to do in and around Cape Town? Check our ultimate bucket list. In the mood for more adventure? 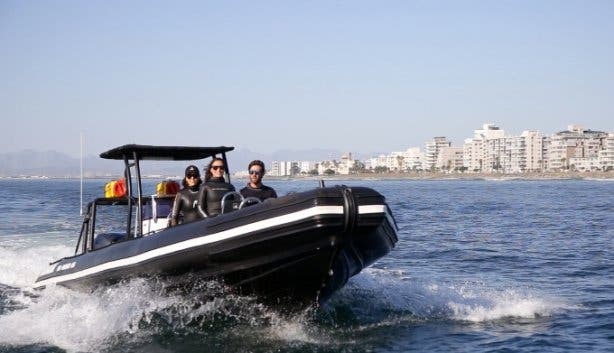 Here are some special and unique Cape Town experiences you’ve probably never tried before. Plan ahead for the warmer months with this summer bucket list. Looking for a luxury hotel getaway? Reward yourself with one of our exclusive Arabella stay, play and spa package deals.